We are excited for all our regular classes to begin next week. For a full list of our Knitting, Crochet, Spinning, Felting classes check out the details here. 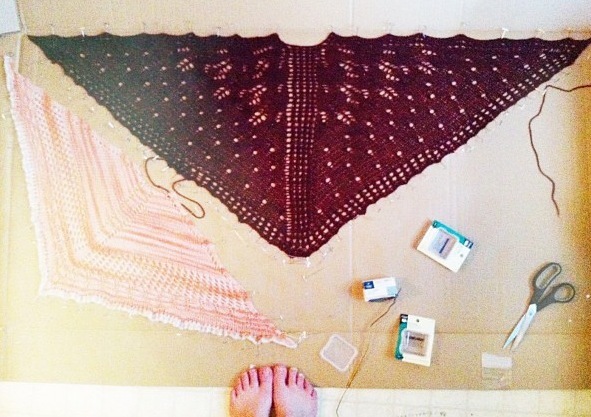 beautiful images of your finished shawl. Come join us! The class was fantastic. Mary recently released the pattern that she wrote in the class on Ravelry. You can see it here. We are looking forward to Angela releasing her pattern, but in the meantime here is a sneak peak! And to the rest of you that took the class – we can’t wait to see your patterns. For more details and dates check out our classes page.